People make choices all they time. 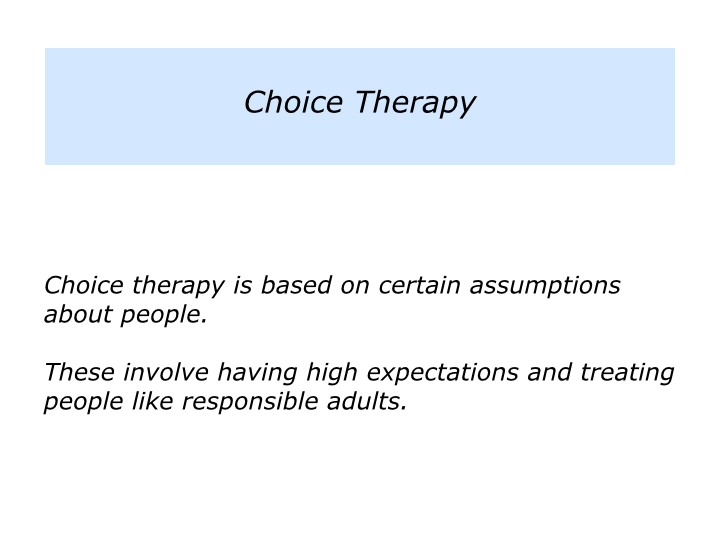 They can choose to be positive or negative, to create or complain, to take responsibility or avoid responsibility. Each choice does, of course, have consequences, with both pluses and minuses. People also choose how they use their feelings. They can choose their attitudes, actions and what they want to achieve. The things they do as a result can affect both them and other people. Much of my work involves helping people, teams and organisations to explore their potential ways forward. Whichever route they take has implications. Doing nothing is a choice, of course, and that also has consequences. There are many ways to explore potential options. 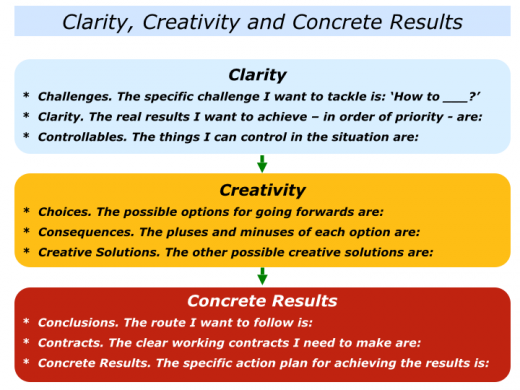 One approach is to use the 3C model. This focuses on clarity, creative and concrete results. Good decision makers often start by being calm and establishing clarity. 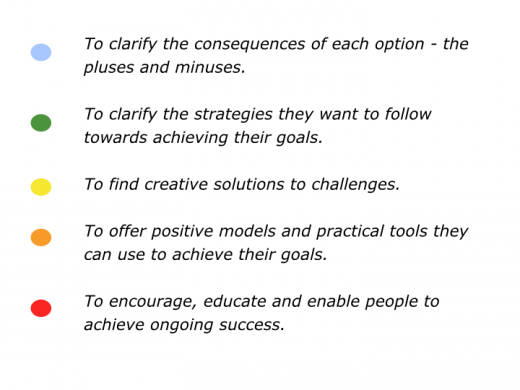 They frame the challenge in positive terms and clarify the real results they want to achieve. 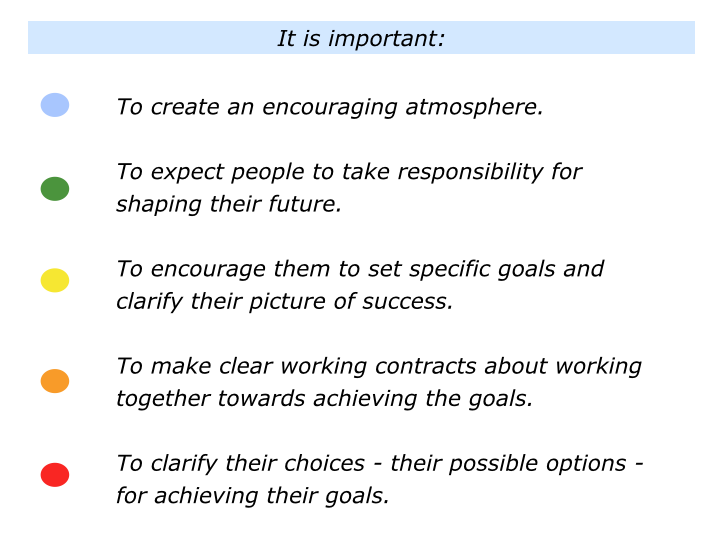 If they want to achieve lots of goals, they list these in order of priority. 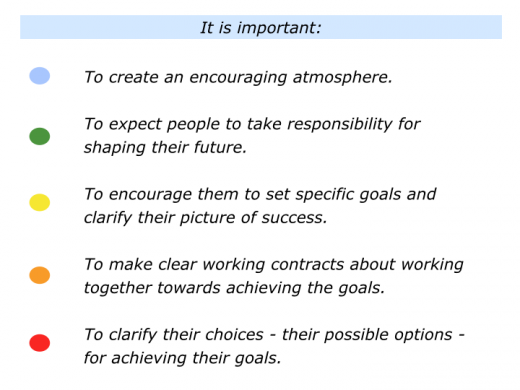 Building on what they can control, they clarify their picture of success. They clarify their possible options for moving forwards, together with the pluses and minuses of each route. They also clarify the attractiveness of each option. Bearing these things in mind, they may also explore other potential creative solutions. Good decision makers commit to their chosen route. If appropriate, they make clear working contracts with other people. Pursuing their chosen strategy, they aim to build on the pluses and minimise any minuses. They then work hard. Building on what is going well, they also find creative solutions to challenges. People do whatever is required to achieve the picture of success. You will have your own approach to decision making. But here are the stages that some people go through to make choices and deliver concrete results. My early career involved running therapeutic communities for young people. Many of them had grown up in difficult circumstances, but they then each faced choices. Did they want to take responsibility for shaping their futures? Did they want to live healthy lives, rather than hurt themselves or other people? Did they want to achieve their life goals? 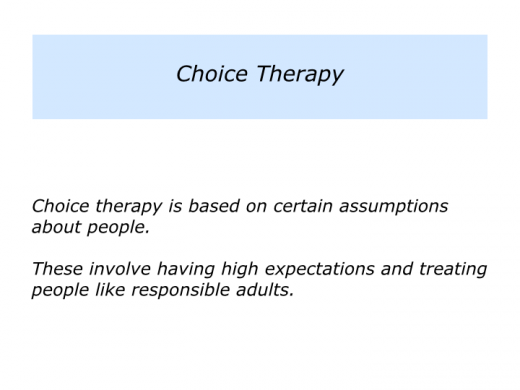 We provided a positive environment and offered practical tools they could use to make choices. Some came to us with psychiatric labels, but they were treated as intelligent adults. The young people were encouraged to clarify their life goals. They explored their potential routes going forward – together with the consequences – and then pursued their chosen route. 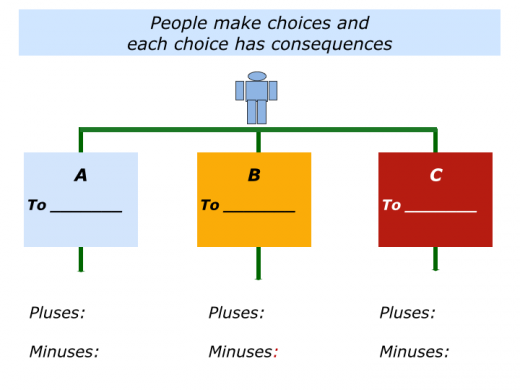 Good decision makers often make decisions based on the consequences of the various options. They then aim to build on the pluses and minimise the minuses. 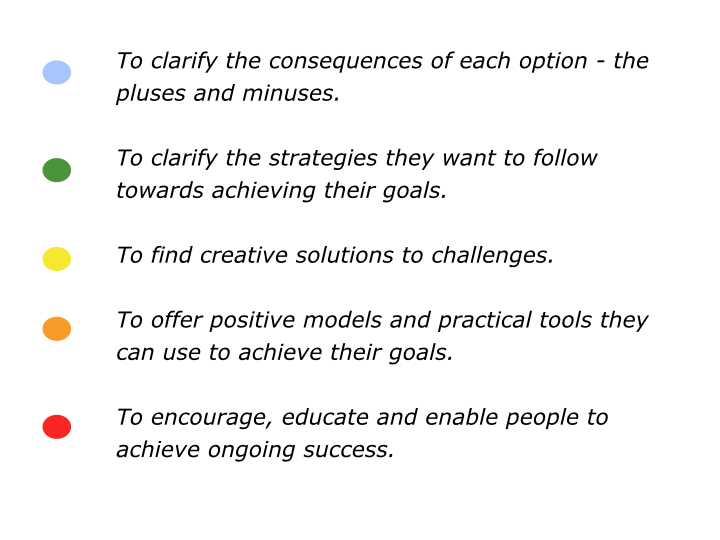 Here is the framework we used when working with the young people. The aim was to encourage, educate and enable them to achieve their pictures of success.